I seem to have spent the majority of the Autumn term whizzing up the M5 to work with the children and staff at x3 of the most creative Nursery Schools in Birmingham. They are Washwood Heath Nursery, Brearley Nursery and Lillian De Lissa Nursery. Although the driving is tedious at the best of times, the rewards far outweigh the time and effort it takes to get there. Here are a series of photos of clay creations made by the young and totally inspiring minds from all three settings. 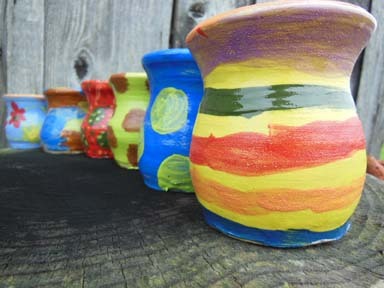 …will be enhanced by these lovely, colourful vases created by the staff at Brearley & Teviot Nursery School in Birmingham. 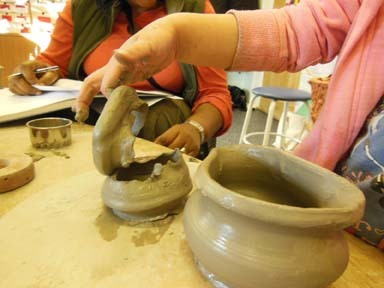 The pots were made as part of a staff team day exploring clay skills and creating collaborative work. Nursery head chef Wendy requested something suitable to display small poses of fresh cut flowers for the children to enjoy whilst they dined. I think you’ll agree these tick the box! Delighted to be back at the fantastic Brearley Nursery School in Birmingham. Spent a couple of sunny September afternoons a week or so ago, pottery teambuilding with the staff. 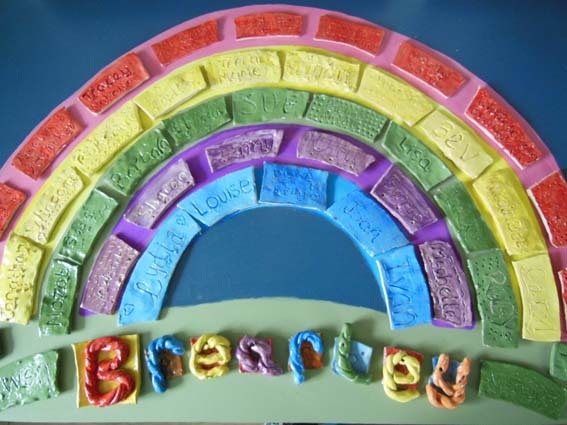 Teachers and TA’s were given the opportunity to brush up on their potter’s wheel skills as well as creating a collaborative colourful rainbow tile panel for the entrance hall. 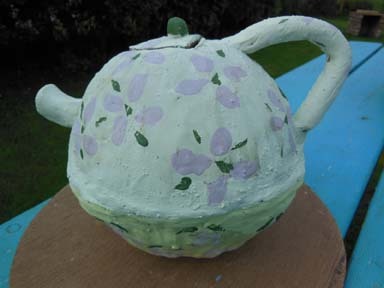 They also hand built a tea-set for the children to play with in the class room. 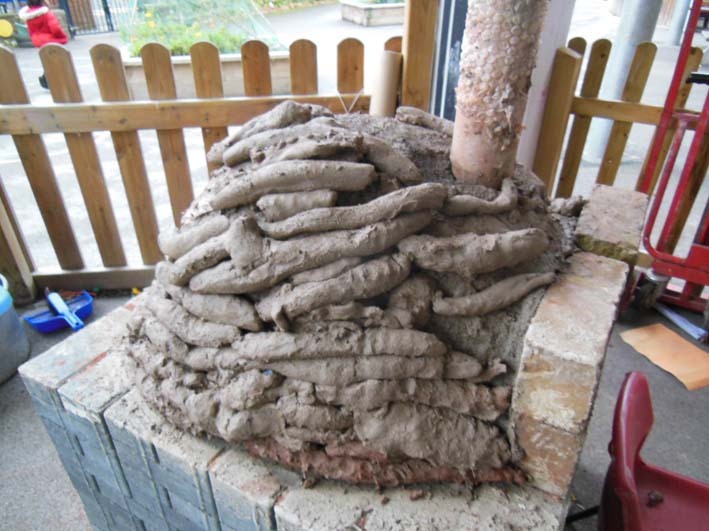 Here’s the brilliant T-pot drying out in the Pottery garden. 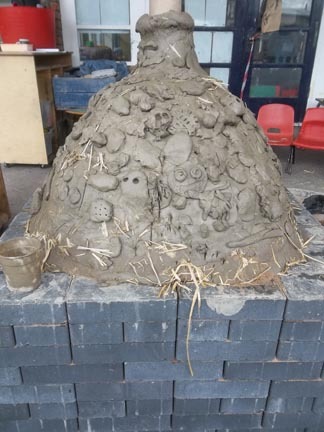 Once thoroughly dry, the oven will have its inaugural firing at the Nursery’s Summer Celebration day where the whole community will get the opportunity to sample freshly baked bread hot from the oven.